On January 9, 2019, Northwestern IT recognized five employees nominated for the annual Employee Excellence Award (EEA) at the quarterly Extended Staff Meeting. Each year, the award highlights standout colleagues through nominations by their peers for outstanding contributions to our organization as well as their dedication to building lasting relationships across the University. The recipient of the 2018 EEA is Alyssa Dyar of Teaching and Learning Technologies. Since joining Northwestern IT as a learning engineer for the new Master of Science in Law program (MSL) in 2017, Dyar has continuously proved to be an invaluable asset to the team. In her role, Dyar is responsible for developing the online version of the MSL program, working closely with faculty to determine how to provide online students with an experience of the highest quality. An admiration for Dyar’s strong leadership and collaboration skills were a central theme of her nominations. 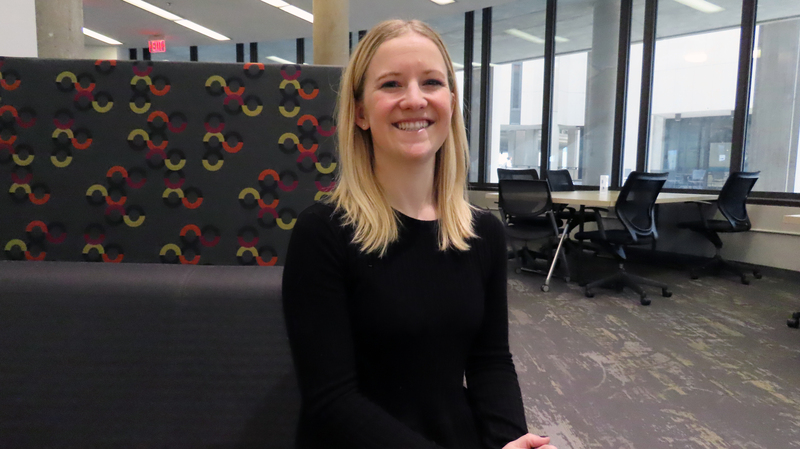 Before assuming her current role, Dyar worked for the Northwestern School of Education and Social Policy, helping instructors integrate technology into their teaching to augment class experiences, both online and offline. Now, Dyar’s passion for using technology to transform and extend the classroom beyond four walls serves as a strong foundation on which to launch a new Northwestern educational experience.